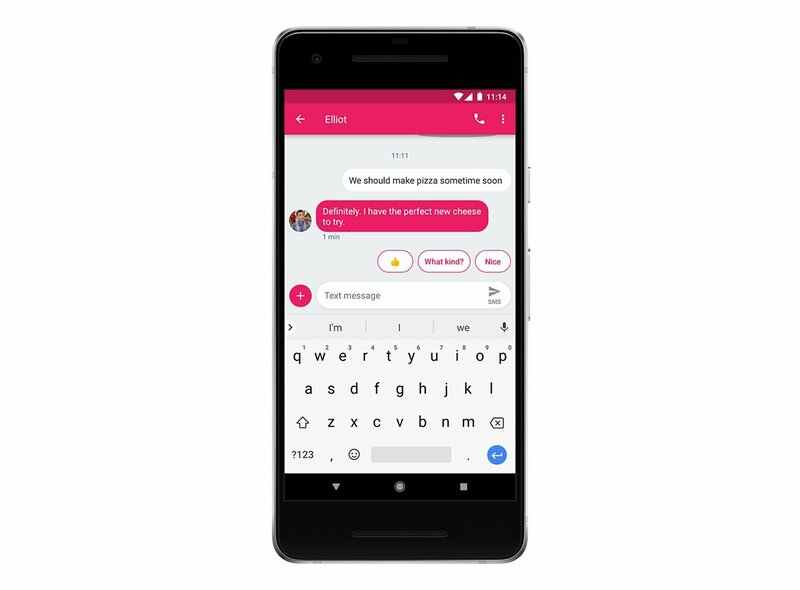 Android Messages is Google’s default messaging application on its Nexus and Pixel devices. The app is also the avenue through which Google is pushing for the next evolution in messaging: RCS. Recently, the third-largest smartphone manufacturer in the world, Huawei, announced that they would integrate Android Messages on their smartphones. With all of this in mind, there’s a lot to be excited for once RCS support starts rolling out more broadly. And within Android Messages 2.9 are hints at more major features that may be coming: a web interface for sending messages on desktop Chrome, Firefox, and other browsers, and possibly the ability to make payments directly in the app. Perhaps the most significant new feature hinted at in this recent update is a web interface for Android Messages. Google Allo received a web interface for sending messages, but a web interface for Messages would be far more significant since it would potentially allow you to send actual SMS on your desktop or laptop device. We managed to partially enable the feature which brings up the feature in the app, but actually clicking on it causes a crash (which according to the logcat is caused by a null pointer exception, telling me it hasn’t been fully implemented yet). I also attempted to enter the new interface by manually starting the new unexported “com.google.android.apps.messaging/com.google.android.apps.messaging.ui.ditto.DittoActivity” activity, but that results in the same crash. The desktop web browsers that this new interface will support include Google Chrome, Microsoft Edge, Mozilla Firefox, Internet Explorer, Opera, and Apple Safari. That’s the list for now, though notably there’s a category for “other” and “unknown” so it’s likely that many more browsers will work with this feature. One of the strings tells us that there will be a foreground notification telling you that you are connected to a desktop computer. This suggests to me that you’ll have to manually connect to your PC each time you want to send messages over a web browser; it sounds annoying at first glance, but it was probably done for security reasons. Fortunately, it does seem like it will remember any computers you paired with last time, so you may not have to scan a QR code each and every time—just authenticate yourself by enabling the feature in the Android Messages app. It appears that a future update may make it easy to send payments to services via text messages. We’re not sure exactly how it would work, but it is likely that it would integrate with Google Pay. There’s a new activity associated with this which will show you your payments summary. I was unable to access this because it crashes, unfortunately, so I cannot show you what it would look like. New strings also show that you can send and request money from other users, which isn’t a new feature of messaging apps, but with how ubiquitous Google’s messaging app is, it would open up such a system to millions of new users. Finally, there are hints at new chat features that may be separate from the existing smart reply feature or the other advanced features that RCS already offer such as sending messages over WiFi, seeing responses in real time, and having read receipts. The strings state that you can share photos in high-quality, and possibly enable other features in Settings –> Advanced –> Chat features. It isn’t yet clear what these features may be, though, and it’s unlikely we’ll find out anytime soon. 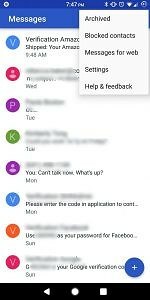 That’s all that we found in the latest Android Messages app. If we find anything else, we will update this article accordingly. We don’t expect any of these mentioned features to roll out any time soon—if at all. Google Allo’s web interface was teased in February of last year and it took several months to roll out—Messages’ web interface hasn’t even gotten to the teasing part. Still, we’re hopeful that Google’s standard messaging app becomes more useful in the future. With encroachment by the likes of Amazon, competitors in the messaging space such as Telegram and Whatsapp, and the continued shift towards enterprise with Hangouts, Android users desperately need a well-integrated messaging solution. You can download the latest version of the app from the Play Store which can be installed on any Android device, but keep in mind the update will be rolling out incrementally to all users. It’s too bad there’s no “check for updates” button in the Play Store like there is in settings!